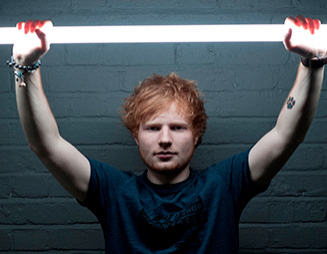 Ed Sheeran performed "Bloodstream" at this year's Billboard Music Awards. Looking endearingly rumpled as always, Sheeran took the stage solo to share the fourth single from his 2014 sophomore album x. Introduced by Zendaya, Sheeran got back to basics during his soulful performance, keeping things acoustic (and even using his guitar as percussion!). As he sang, a giant projection of Sheeran mimicked his every move in the background.